Last Spring a friend of mine suggested I try out Sub-Irrigated Planters, also known as “SIPS” or sometimes “Self-Irrigating Planters.” These types of planters can be purchased or improvised, and employ a reservoir of water that allows the plants to wick the proper amount as they grow. My SIPS are mostly constructed from materials I had around the house or purchased from The Dollar Store, while many other effective designs can be found online. 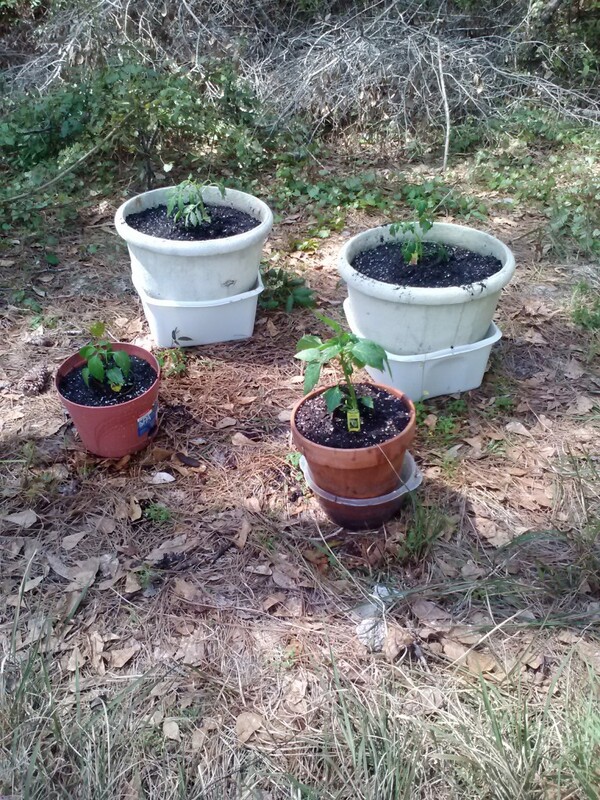 I am amazed at how the plants thrive in these planters, and at how little space they require. 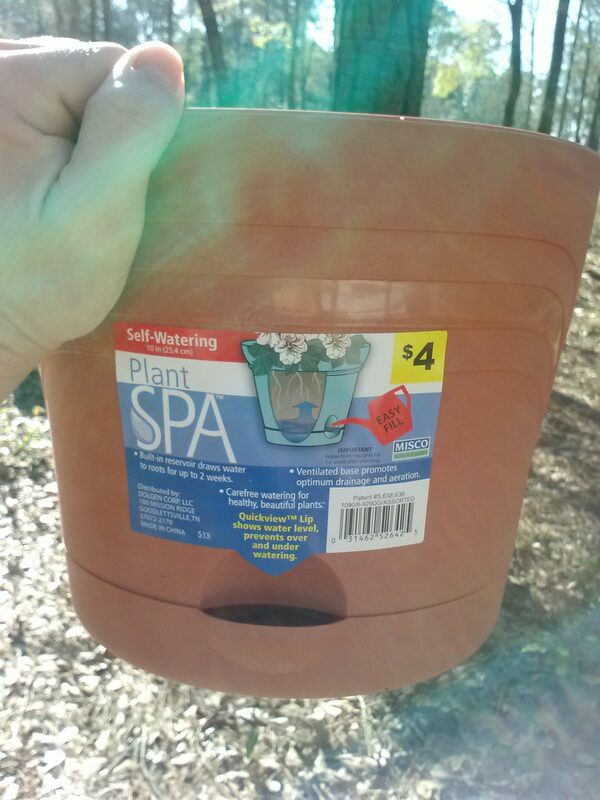 This Plant Spa was purchased at The Dollar Store for less than $5 as part of my experiment. Please note the reservoir opening at the bottom. 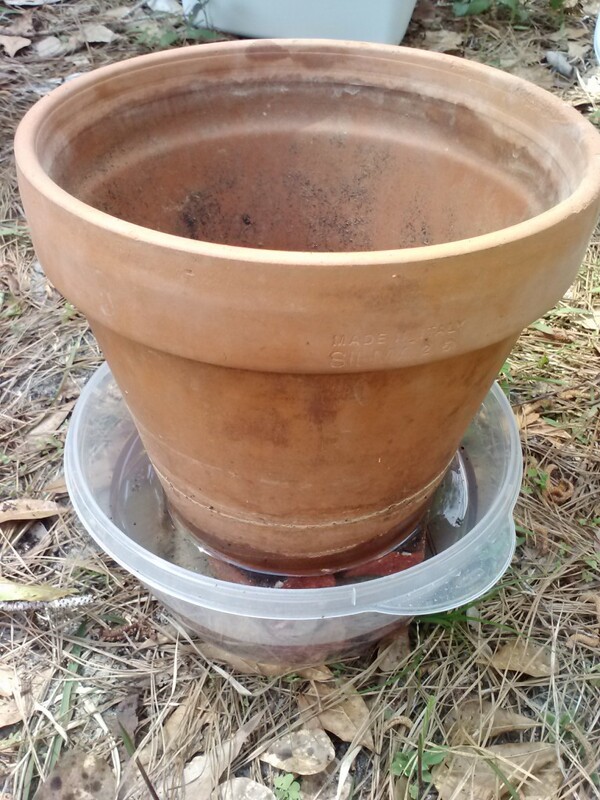 I improvised two large SIPS by using standard hole-in-the-bottom planters. 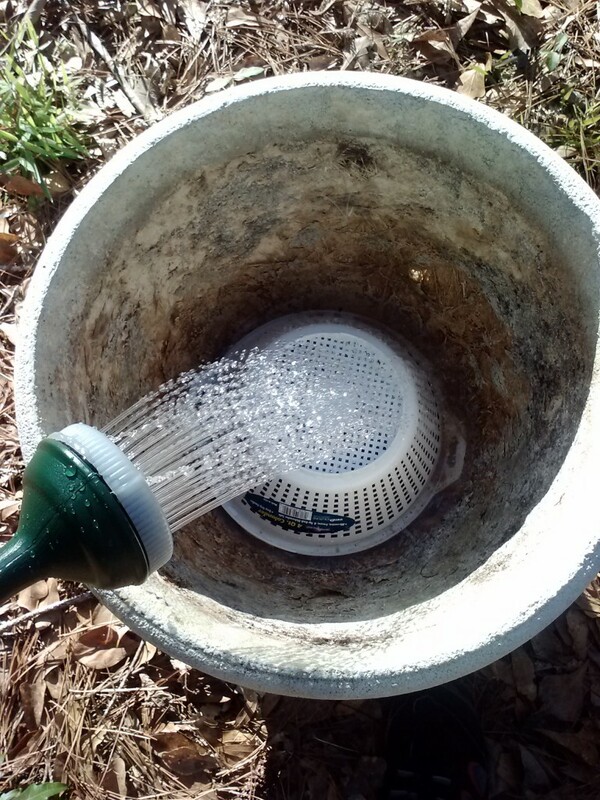 The reservoir is made from a plastic colander and an inexpensive plastic dish tub (see below.) 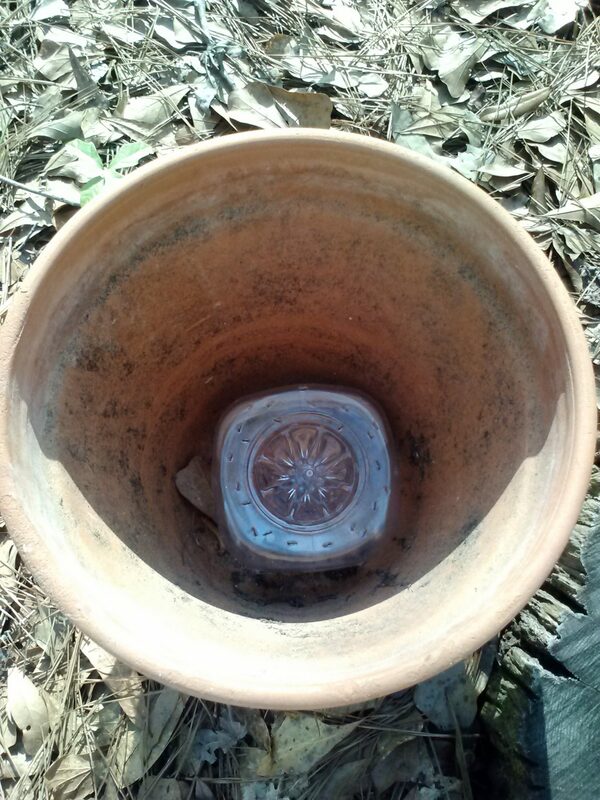 The colander and tub prevent over-watering and root-rot by allowing excess water to overflow out of the planter. The colander also allows for aeration as the plants “wick” the required moisture. Lastly, I improvised a “colander” out of a juice bottle so that I could turn an ordinary clay planter in to a small SIP. 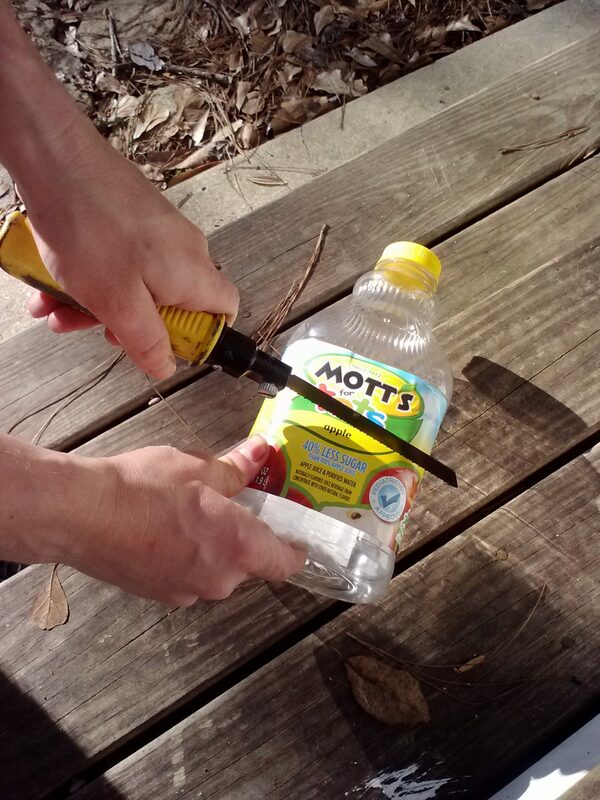 A hack saw was used to saw the bottle in half. 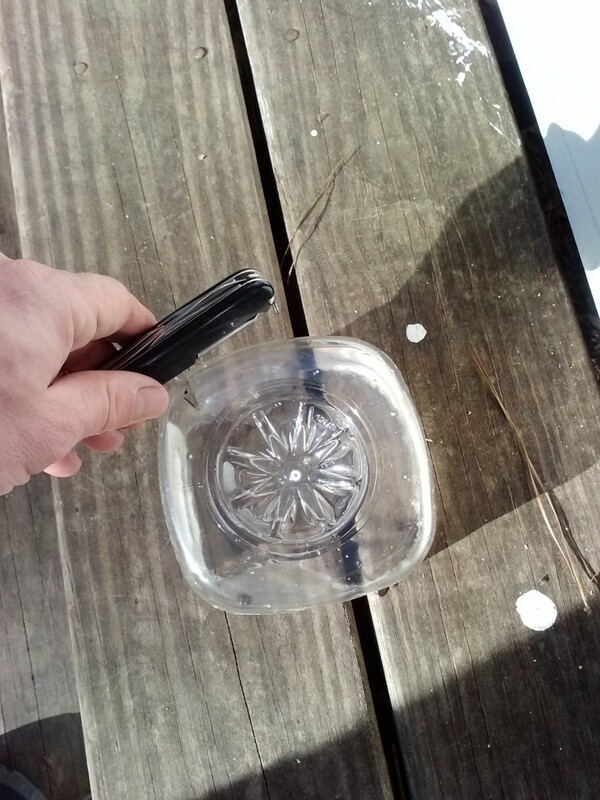 Next I used the awl of my Swiss Army knife to punch holes in the plastic, giving it the look of a colander. I stirred a dash of lime into my fertilized potting mix, then added tomato and pepper plants. 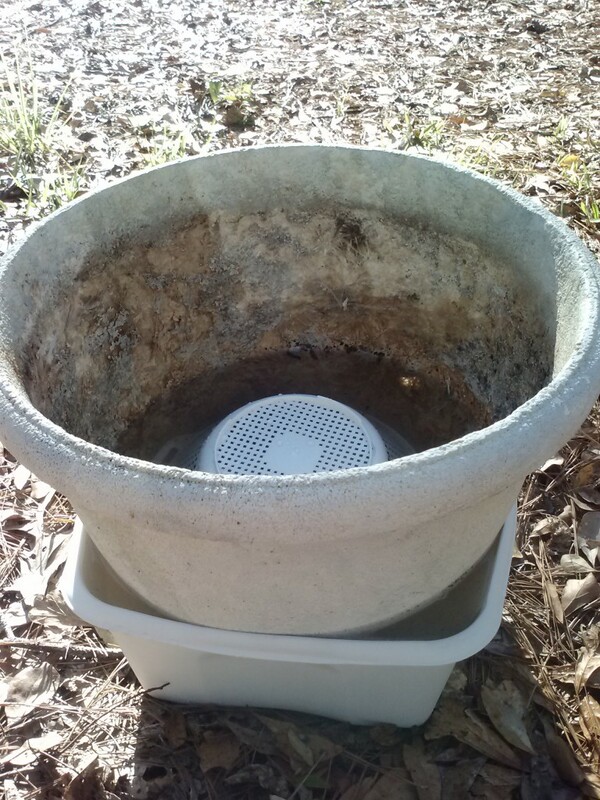 During the first week, I watered the plants from the top, ensuring that the reservoir below was always full. Since then I only add water to the reservoir as the plants are clearly wicking the perfect amount. 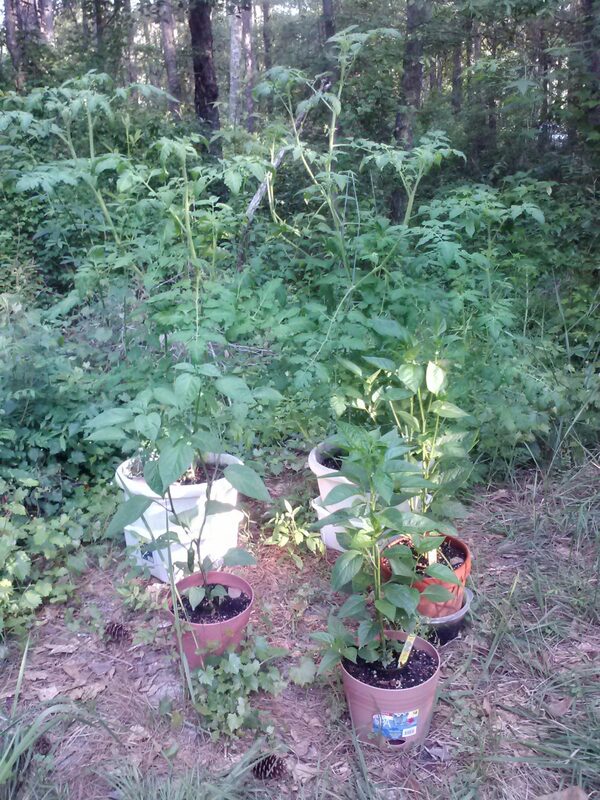 After six weeks of growth, I am thrilled with the size of my plants! My design was inspired by Jim Annerton’s detailed PDF, which can be downloaded here. I am so thrilled with the results that I cannot wait to try more SIP designs next year!